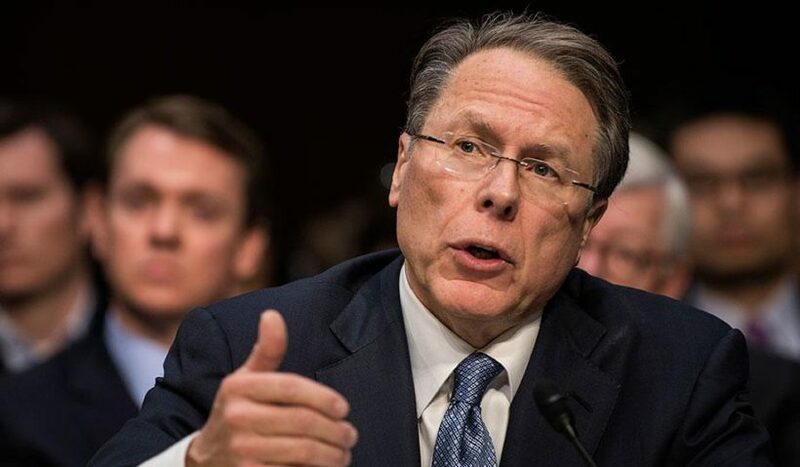 Wayne LaPierre is one of the National Rifle Association (NRA)'s most recognizable faces, and one of the country's many gun rights advocates. The Dec. 4 cover of the New York Daily News…labels the National Rifle Association’s executive director, Wayne LaPierre, as much of a terrorist as the shooters in the San Bernardino attack and the gunmen behind other mass shootings. 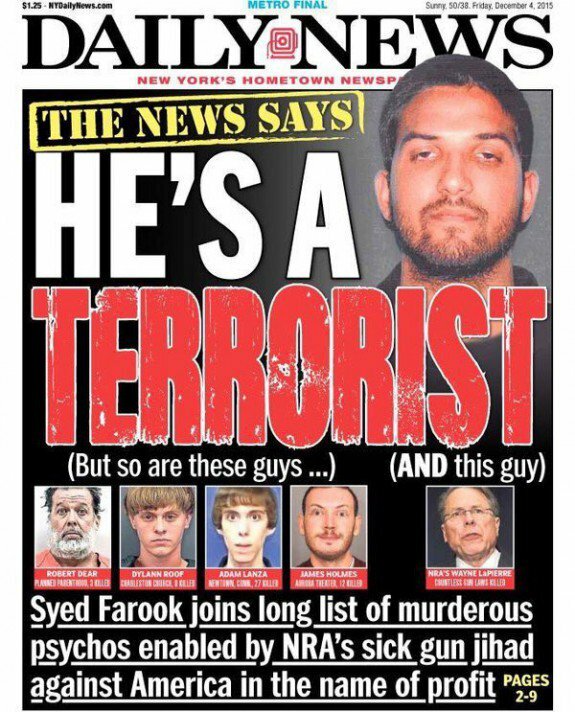 …The Daily News’ accusation is beyond ridiculous, as it equates someone who has been defending Americans’ right to own a gun for protection with people like Farook, who wanted to kill Americans in what was apparently a real act of jihad. Even notorious anti-gunner and billionaire businessman Michael Bloomberg hasn’t gone that far. This isn’t really anything new for The Daily News though, as they called LaPierre the “Craziest Man on Earth” after the Sandy Hook shootings and less than two weeks ago referred to him as “Jihad Wayne,” underscoring their inability to look at the issue of gun control in a reasoned manner. 1. What type of bias does the excerpt above illustrate? 2. Mr. Irvine writes: “The Daily News’ accusation is beyond ridiculous, as it equates someone who has been defending Americans’ right to own a gun for protection with people like Farook, who wanted to kill Americans in what was apparently a real act of jihad.” Do you agree with this assertion? Explain your answer. 1. The excerpt illustrates bias by spin.